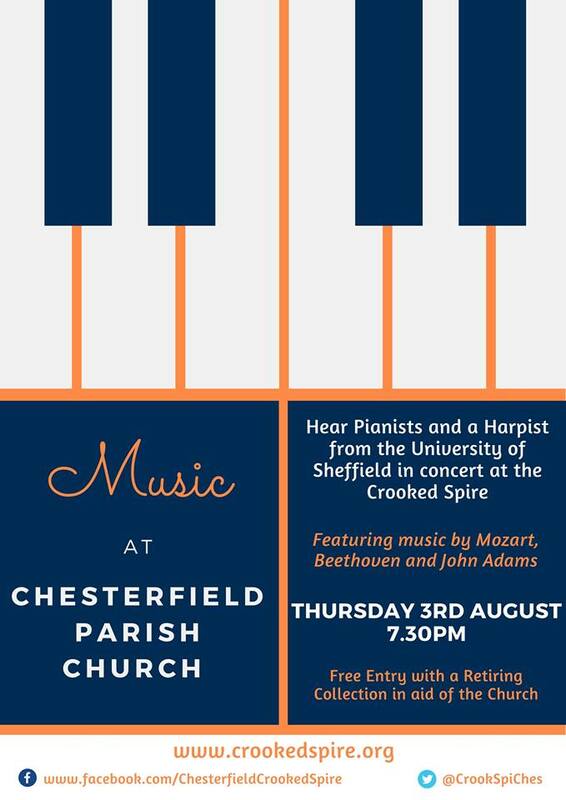 There's a great opportunity to hear music students from The University of Sheffield perform at Chesterfield Parish Church next week. Two pianists and a harpist will be bringing a programme which includes works by Mozart, Beethoven and John Adams. The recital takes place on Thursday 3rd August, starting at 7.30pm. Entry is free with a retiring collection taking place. All are welcome. DID SOMEBODY SAY FREE CAKE? HAPPY BIRTHDAY!